On writing a better story, sisterhood and chipmunks on Red Bull. So, last week I did something crazy. 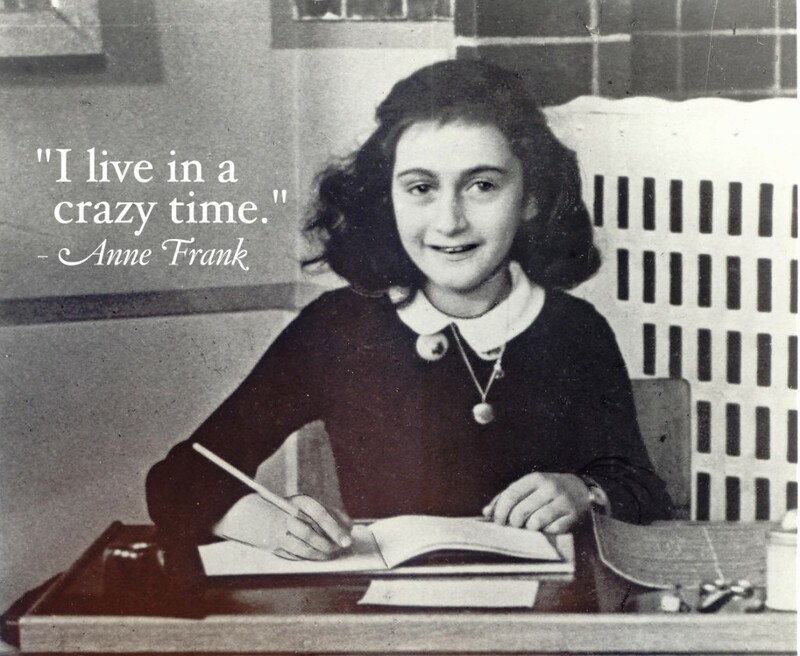 But something that “scares-the-brown-out-of-me” crazy. Let’s backtrack … shall we? Early January, I read Donald Miller’s book A Million Miles in a Thousand Years. The book wrestles with the question, “What makes a good story? More specifically: “What makes our lives a good story?” I started to reassess my life through the lens of a good story. When I found out that Miller was hosting a conference in Portland, I just knew that I had to be there. In one sentence, my big juicy decadent takeaway from the Storyline Conference: I can write the story I want to live. He also talks about how every great story has an “inciting incident.” An “inciting incident” is something that triggers or forces the character to step out into the uncomfortable. Sometimes it’s losing a loved one, a break-up, getting fired, etc. Or it could be self-imposed: signing up for a triathlon, taking diving lessons or teaching English in China. The common thread in all of the above is that it involves stepping out into the uncomfortable. The uncomfortable provides a premise for change, growth and transformation. An inciting incident is what makes a story come alive. I’m totally guilty of sitting in the passenger seat of life thinking that one day I would magically fall into my story. Or, that my story/destiny would eventually find me. After all, 14-year-old girls get discovered in the shopping mall and become supermodels, right? Wrong. Supermodels are the exception, not the rule. Here’s the good news for us vertically challenged humans: If life feels boring, meaningless, or predictable, we can write an inciting incident into our story! This would force us to step out into the uncomfortable and who knows what could happen next? We don’t have to live vicariously through Lisa Ling, Susan Boyle or the “‘Real’ Housewives of Orange County.” We can climb Kilimanjaro, make that YouTube video, intern in Afghanistan or grow our own herb garden. Ask yourself: “What would my character do next?” And then: DO IT. It was at a Women’s conference last year where I first learned about the LRA rebel soldiers who terrorize northern Uganda. Women have had their lips, ears, noses and even genital parts severed from their bodies. Many of these women are HIV+, marginalized and ostracized from their own community and family because the scars are a constant reminder of their past. Even as I type this, I’m crying because my mind can’t process the sheer violence and injustice of having your body mutilated for no fault of your own. 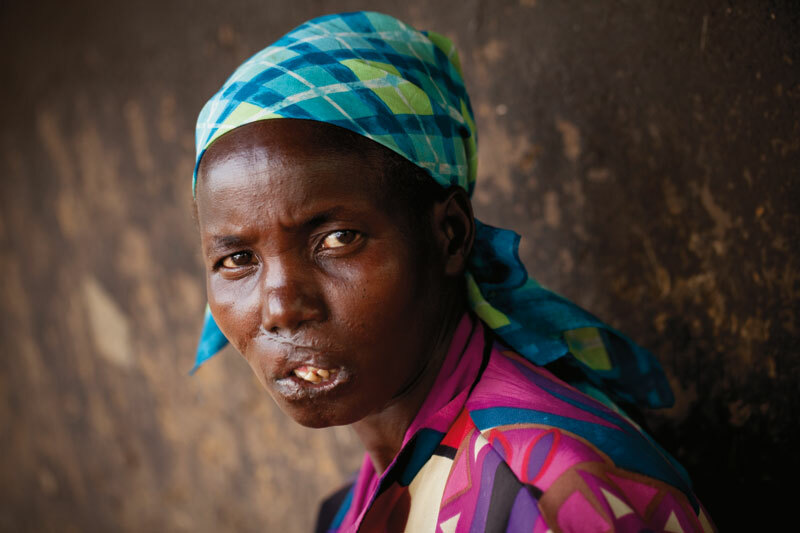 Living Hope is a program that helps women who have been disfigured to undergo reconstructive surgery. These surgeries start at $2,500. The women are also trained with vocational skills and assisted in generating projects using micro-finance loans. I heard story after story of amazing recoveries. Brave Ugandan women who dared to write a new story for their lives. I just knew in my gut I had to be part of the solution. So … I signed up for a half-marathon to raise money for Living Hope. Eeeeeek. Those who know me well, know that running is way out of my comfort zone. I have barely mastered walking without bumping into things. I come from the school of thought that the only sane reason adults should be running, is if they are being chased. Read about my ridiculous first attempt at running a 10K here. Here is an Adele song that plays in my head every time I think I about the half-marathon. I found this great image that summarizes exactly what I’ve been feeling lately. 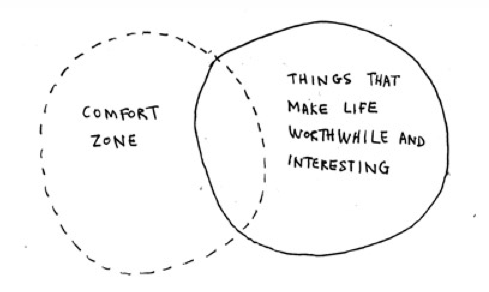 The inciting incident is the overlap of comfort zone and things that make life worthwhile. – Is this an inciting incident in your life that you need to say yes to? – Do you remember the last time your anger brushed up against a core value? – Would you say YES to running or walking the half-marathon with me? – If you can’t run or walk, would you please help spread the word? If your heart is beating fast and you have butterflies in your stomach, leave me a comment saying “Yes” and I will send you more information about registering for the half-marathon!